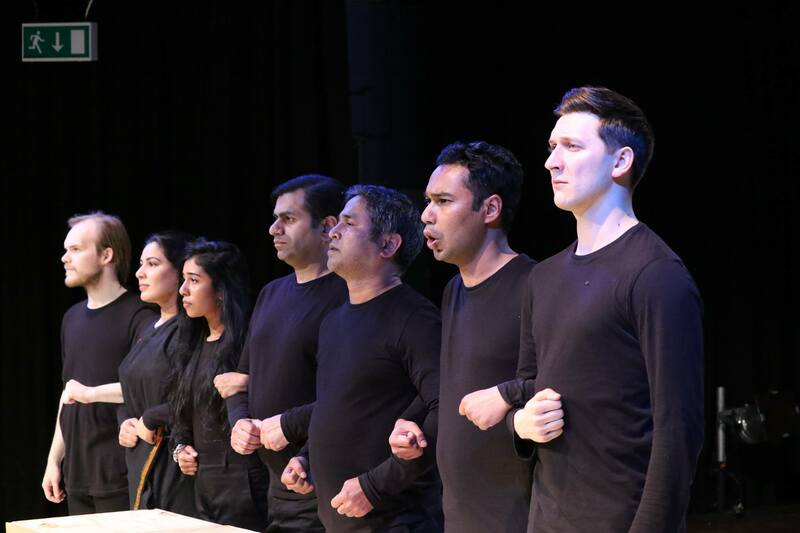 On Saturday 5 May, West Midlands-based theatre company, Purbanat, gave a special performance of Murad Khan’s latest offering ‘Brick Lane 78‘ at London’s Brady Art Centre. The date was chosen deliberately: 40 years since the murder of Altab Ali, a Bangladeshi textile worker who was killed by three teenagers in a racist attack. 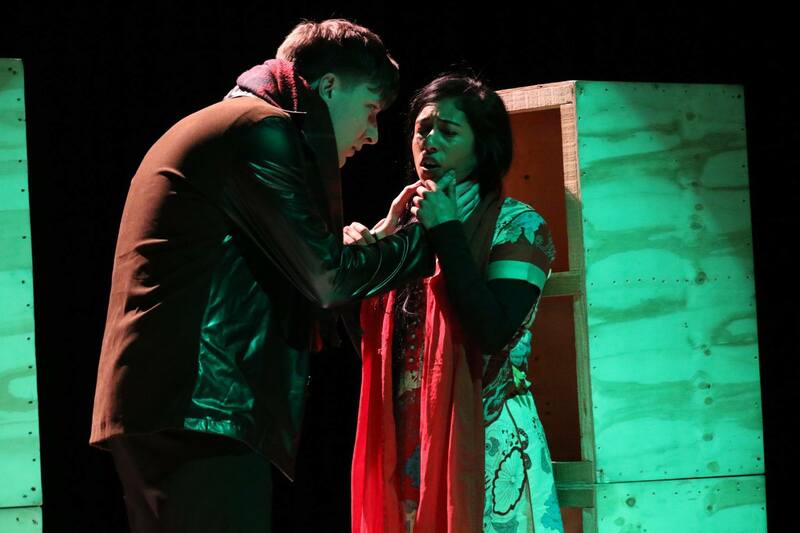 The play by Khan (who also takes one of the principal roles) is a fictionalised version of the events leading up to Altab Ali’s death and the storm it provoked in the British Bangladeshi community. Purbanat is a well-known and respected theatre company which brings both professionals and members of the West Midland community together to write and produce new plays as well as champion adaptations of international works. Khan in particular doesn’t shirk away from being honest even when it is uncomfortable. 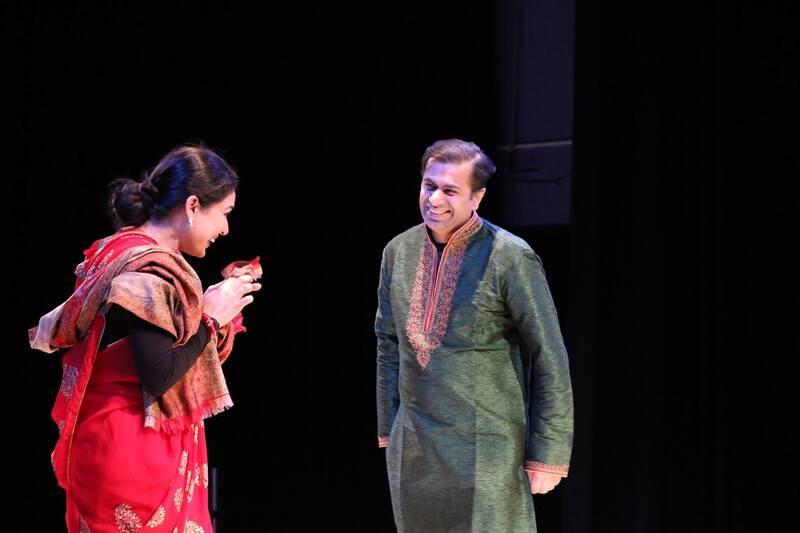 His comedy, Bangla Brummies, while entertaining the audience also challenged prejudices of skin, culture and tradition. Similarly, with this more serious work, Brick Lane 78 gives us a raw view of the vulnerability and lack of courage which often kept the fledgling community in London in fear of racist National Front youths and other racists. The shopkeeper, terrified by the vicious threats of youths agrees to give them alcohol and cigarettes; the husband, terrified for his wife’s safety, doesn’t want to get involved in demonstrations. The Bangladeshis in London, we find, are not a united lot. This fear and lack of unity is vital for us to understand what happens next. With the death of Altab Ali (sympathetically played by Rajib Jebtiq) something finally struck a chord with the people and he inspired them to find a common voice, to rise up and say ‘enough is enough’. As said one member of the panel interviewed after the play which was largely made up of key people who were really there at the time, this was ‘perhaps the defining moment when the British Bangladeshi community discovered its own identity’. From the moment the mass demonstrations began on the streets, Bangladeshis stopped being a ragtag of older immigrants with wives, children and cousins born in the UK or brought over from Bangladesh. Instead they identified as British as much as Bangladeshi and demanded their rights as UK citizens to live peaceful lives without facing malice and abuse. In doing so, they found that other BEM groups also found their voices and that they had allies in the white communities too. I was a child at the time when this play is set and I recall the white British attitude all too painfully well. Tom Hendryk plays the parts of both police officers and racist youth brilliantly well and I cringed with a kind of national loathing as I listened to him in his role as officer arguing that effectively the Bangladeshis were to blame for the abuse they suffered. It’s just so like the British to make it ‘the foreigner’s fault’. “We’re doing our best. You must do yours too,” was the message patronisingly pasted over the problems ignored by authorities. But I also recall how things began to change after those peaceful but effective demonstrations and how Britain began to accept again its multicultural heritage after believing the self-invented Victorian lie that ‘white is right’ for so long. We are a ‘mongrel’ nation (which is why the English language is such a mess grammatically) and our blood is a mix of many tribes and peoples. We tried to pretend we had a purity for a long time but Hitler held up a mirror to us and we didn’t like what we saw. We clearly still have a long way to go – even with governing authorities given the recent ‘Windrush’ scandal – but the sense of ghettoization of BEM groups is much less today. In my home town in the excessively white area of West Cumbria is a Bangladeshi restaurant, The Akash, whose owner has lived there for over 40 years. His accent is thick, broad Cumbrian and he’s more of a northerner than I am. Indeed, I am the immigrant (still, after 18 years)and he is the native. That a Bangladeshi can be considered more ‘one of us’ in the far rural north than a white man who hails from Wigan says a lot for how much has changed in cultural values in forty years – and for the better. All this is academically interesting of course, but what of the emotion? Parbanat, under the careful care of director Sudip Chakroborthy, succeeds in driving home the range of feelings of those times. 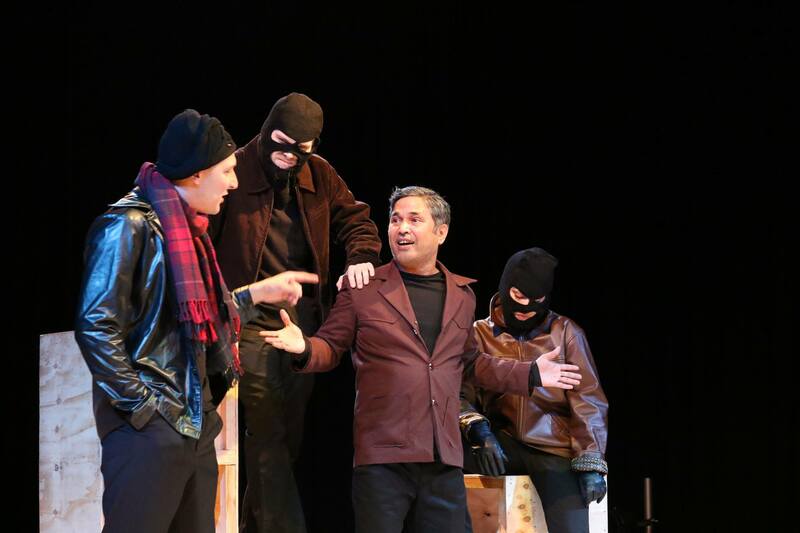 From fear to anger – even to love and empathy from those least expected – the cast were convincingly real and powerful in their portrayal of imperfect but genuine people. It would be quite wrong of me though if I did not call out one person in particular. Prati Bha moved me to tears in her portrayal of the delighted new bride,Marium, excited beyond her dreams to be living in London. Through her eyes we go from wonder, to disillusionment, to the deepest grief. One scene broke our hearts and I can safely say that I will never be able to eat dim bhuna again without tears coming to my eyes. Prati Bha held us transfixed as her world finally unravels. But her character rises, phoenix-like, to fight alongside her brothers and sisters, to make a future secure for her family. History tells us that she was right. Today, Brick Lane is almost too successful for its own good. The area is packed with tourists so much that sometimes it’s actually difficult to see a Bangladeshi at all. So fashionable is the area that the rich are moving in, opening fancy coffee shops, and pushing the deshi community out. There’s an irony to the ripples which emanated from those protest demonstrations forty years before. When a community goes from ‘undesirable’ to ‘accepted’ to ‘highly desirable’ it then finds that outsiders want to control it all over again. The difference is that Bangladeshis no longer find their community squeezed into smaller ‘ghettos’: As British people anywhere is ok for them to live now. And rightly so. There are, I believe, lessons to be learned for Bangladesh itself. It was a country only seven years old when Altab Ali met his end but whereas British Bangladeshis found their identity through the struggles, Bangladesh is still trying to find what it wants to be. The tussles between culture, tradition, secular values and religion continue with no sign of abatement. This year it was announced that Bangladesh is no long an LDC (Least Developed Country) – testament to the huge efforts over nearly fifty years to bring the country into the 21st century – yet kidnappings, murders and bureaucratic corruption abound. How can it be that those living in the UK have maintained traditional values and practices yet came to find themselves as British? As Brick Lane 78 shows us graphically well it wasn’t because they were welcomed with open arms! Secure as the British diaspora may be, the motherland remains a mess of in-fighting and political shenanigans. There is a sub-plot to Brick Lane 78 which is subtle and remains undeveloped: one of blossoming but forbidden romance between white and Asian. As we move into third and fourth generation Bangladeshis we are increasingly seeing the younger generation completely disconnected with their family heritage because they simply don’t recognise that kind of life. They are British, and ‘Bangladeshi’ is virtually dropped for all but the most important official documentation. For me, this is a great shame and I am bewildered that my fairly weak Bangla reading, writing and speaking is better than many of my British ‘Bangladeshi’ friends. Not long ago I went to a Bangladeshi take away near Cambridge. I came up to the young man behind the till and said “Asaalam alaikum bhai. Kemon achen?” His response was this: “Oh sorry mate, I don’t speak that language. I’m from London. Let me get me dad, I think he still knows a bit…” and off he toddled. It would be very sad indeed if, in fighting to have the right to peaceful identity, the community lost its soul in the process. What if, one day, dim bhuna doesn’t mean anything special to anyone any longer? There is a tragedy I hope will never be played out. 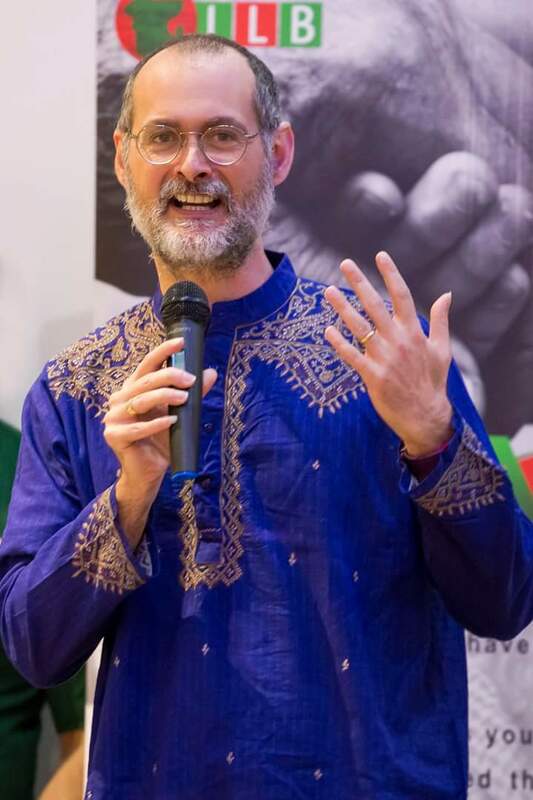 International speaker, educationalist, bestselling author and journalist D K Powell is the author of the bestselling collection of literary short stories “The Old Man on the Beach“. His first book, ‘Sonali’ is a photo-memoir journal of life in Bangladesh and has been highly praised by the Bangladeshi diaspora worldwide. Students learning the Bengali language have also valued the English/Bengali translations on every page. Two new books coming out over summer – don’t miss them! This entry was posted in Bangladesh, community, Culture, Racism and tagged Altab Ali, Ashim Chakraborty, Bangladesh, Brick Lane, Brick Lane 78, British Bangladeshi, community, Murad Khan, National Front, Prati Bha, prejudice, Purbanat, racism, review, Sudip Chakroborthy, theatre review, Tom Hendryk. Bookmark the permalink.